Art in Healthcare is involved in a new and exciting project at the Rohallion Intensive Psychiatric Care Unit located in Perth, in which we are commissioning three artists to create original artwork for the hospital environment. 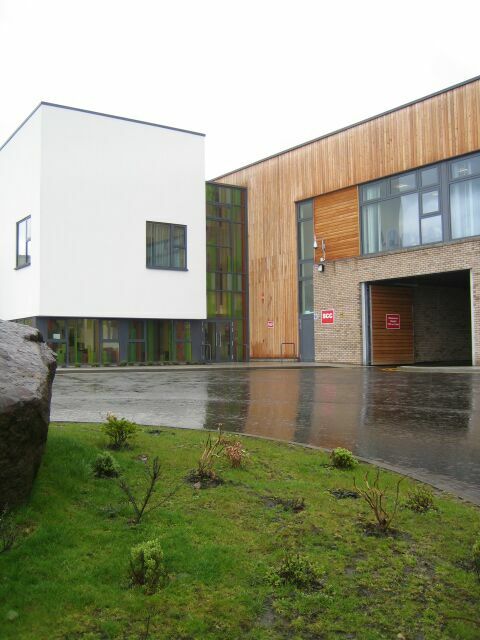 Rohallion is an all male facility with patients from various parts of Scotland. This project will hopefully transform the environment into one which engages patients, staff and visitors mentally, while also providing a more domestic ambiance in the hospital. The human mind requires engaging stimulation constantly as it is essential for mental health. It was saddening to learn of the bare corridors and large communal areas that are home to the patients at Rohallion. When touring the Rohallion Psychiatric Hospital, I was impressed with the stunning woodwork in architecture throughout the unit, as well as the lovely outdoor spaces on the second floor. It is easy to recognise the potential at Rohallion which explains our enthusiasm for the project. We have had two focus group sessions thus far. Art in Healthcare and the artists involved in the project recognised the importance of involving the Rohallion patients in key decision making about the interior of the ward, as it is their home. The artists were passionate to gain personal input from patients that could further inspire their creation. The focus group allowed for patients and artists to interact and connect while sharing ideas about the direction of the project. Seven Rohallion patients voluntarily participated in the focus group which was perfect for the small intimate setting we were hoping for and provided a comfortable environment for all of us to openly share. The focus group was structured with set activities, but allowed for open discussion on various topics. Patients shared their past experiences with art, discussing material preferences and subject matter interests with the artists. We couldn’t help but to first break the ice with a quick discussion on Donald Trump, which quickly got us all comfortable with each other. Artists showed their previous work to patients in a presentation, which patients and staff really enjoyed. The true success was the final art activity, “Feelings and Colour”. Patients, artists and Art in Healthcare staff joined together to participate. We passed out blank squares of paper, each having a theme written on it. Some of the themes were entitled “love”, “hope”, “hometown”, “favourite food”, “dreams”, “unhappy/annoyed”. We each filled in the blank squares with colours we personally associated with the different themes, for example, “bright red” for “unhappy/annoyed”. This creative art activity was very expressive and personalised to each patient. The nature of the art activity allowed the artists and patients to create and reflect on an equal level of skill. 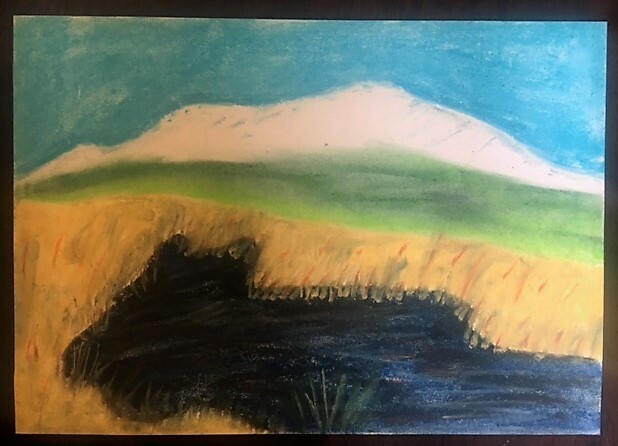 One patient who was quite reluctant in discussion in the beginning of the focus group was able to open up fully while engaging in this art activity with the group. He began analysing the characteristics of certain themes and further discussed his inner feelings. It showed a sense of deep thought and full engagement. It was very pleasing to see the social and therapeutic benefits artistic expression had on patients and artists. Artists found the art activity helpful as they took note of the different colours and shades used by patients, potentially inspiring their future works to be placed throughout the ward. My favourite part of the focus group, apart from engaging so close with the patients, was analysing the different colours and shades chosen for the theme of “dreams”. This category was very peculiar and quite psychological, almost asking which colours one associated with their mind. It was very fulfilling to see distinctive differences, and also patterns in shades and colours patients in the ward associated with their dreams. I was excited to see familiar faces at the second focus group, as 4 patients from the previous focus group were present, along with the three artists. The remaining patients unfortunately could not make it because of other commitments. Art in Healthcare brought in two paintings from the collection to discuss with the patients and artists. Patients were vocal about their personal opinions for each painting. Talking about aspects of the paintings they liked, didn’t like, or what they would have done differently led to a captivating discussion. 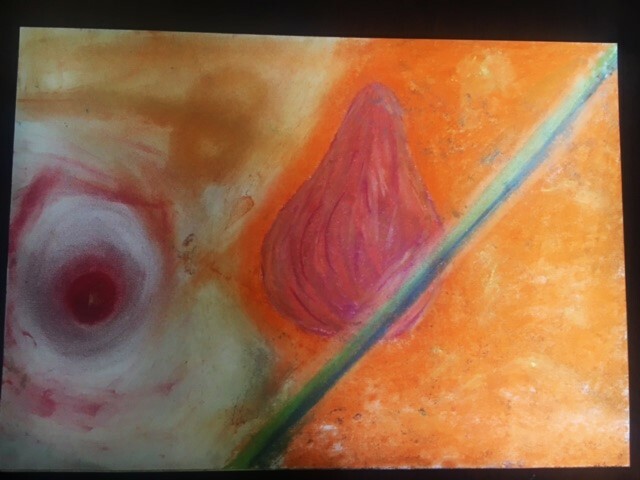 This art activity allowed patients to learn techniques in art evaluation that will help them connect to artwork in the future. We then allowed the patients to produce a quick sketch which could be anything from a landscape to an abstract form. Robert Macmillan, one of the artists, shared with the group his distinguished approach in creating landscape paintings, which we then all attempted. I took a lot from this experience, as did the patients. The work produced by patients was extremely expressive and reflected their talent, which was quite fascinating. Overall, the focus group sessions were successful as everyone interacted well and took something meaningful out of the experience. I do hope the focus groups further encourage the unit to create more art based groups for patients at Rohallion, as it seems to be limited. Art in Healthcare is very much looking forward to seeing the finished products of artwork that will be produced for the ward in June. Bolwerk A, Mack-Andrick J, Lang FR, Dörfler A, Maihöfner C (2014) How Art Changes Your Brain: Differential Effects of Visual Art Production and Cognitive Art Evaluation on Functional Brain Connectivity. Art in Healthcare is a charity with more than 20 years experience providing high quality, contemporary artworks for hospitals and healthcare centres including hospices, care homes, GP offices, dental surgeries, and medical research centres. We pride ourselves on the flexibility of our approach, the high level of our expertise and outstanding personal service. We have a track record of delivering creative solutions on time and on budget.